Spread over 50 acres of land near Hyderabad International Airport, Maruthi Green Fields is a super-infrastructural, contemporary and self-adequate township that is preparing to launch luxury housing villas. Constructed in 1000 square yards that has an estimated build up area from 6000 sq.ft to 8000 sq.ft. these luxury villas are going to be the finest work of Maruthi Corporation Limited. This whole villa project in Hyderabad features cement concrete roads for easy transportation and also to support the multi-functional facilities of the residential villas. Moreover residents can live in complete satisfaction without being worried about safety and security. This entire housing project is under surveillance camera with 24*7 security guard. One of the essential features is the Waste Water Treatment Plant that ensures pollution free environment. The water management system has a capacity of 6.5 lac litres of water which means there is no need to fuss over water shortage at any point of time. Nestled at a very suitable site in Hyderabad, this luxury villas can be easily accessible from Hyderabad International Airport with just 20 minute’s drive. It is also connected to all the main city hubs. The hyderabad-bangalore highway is just a 3 minute’s distance. 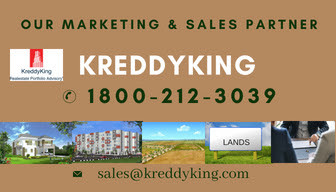 The Fab City, Rajiv Gandhi Nano Tech Park, Jewellery Park, Outer Ring Road, Elevated Express Highway and the Special Economic zone are at very close proximity to Green Fields.